At Prince William Sound College the more credits you take, the more money you will save on student housing costs! Part-time and full-time students can live in housing. 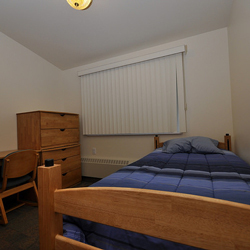 The PWSC Valdez Campus offers students fully furnished, apartment-style housing. 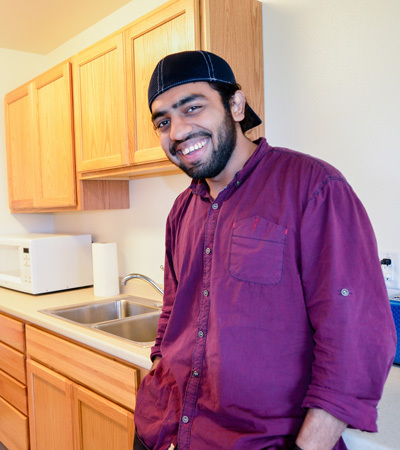 Both full-time and part-time students can live in our on-campus housing. Choose between a studio, one-bedroom, two-bedroom, or three-bedroom unit. Family housing units are also available for couples and parents with children. Each residence complex has a laundry facility and lounge on site. Student Housing is comprised of three apartment buildings with a variety of apartment sizes and configurations. The more credits you take at PWSC, the more money you can save on student housing. PWSC students can now save up to 30% on housing costs. The decision to live on-campus further enhances positive learning experiences as seamless learning environments are created between the classroom and the residences, and students feel more at home within the institution. College residency provides students with a multitude of supportive resources, social outlets, significant peer interactions, and leadership opportunities that commuter students do not have access to. Residential students live amongst neighbors who share a similar commitment to their higher education and benefiting from a living environment conducive to learning and personal development. Residence Life at Prince William Sound College provides a safe and inclusive residential experience that supports students’ personal growth and academic achievement. In collaboration with the PWSC and Valdez communities, we create opportunities for building meaningful relationships and committing to responsible citizenship. Residence Life at Prince William Sound College seeks to be a leader among the University of Alaska system in creating a prosperous living-learning community.